For centuries, shutters of various types and materials have been used on the outsides of homes. In general, they came in pairs and were intended to allow light and air in, while providing a modicum of privacy and security. Today, they have a completely different purpose. Homes have glass windows these days, so lighting is not an issue. As for ventilation, the good old air conditioner takes care of that. So, why have shutters? Quite simply, they enhance the beauty of a home. The right ones can dress a house up and really make it shine. Historically, shutters were made of wood. That is fairly obvious when you think about it. After all, it was quite the common building material for the average home for centuries, and they were custom designed and built for each window. Yet, in recent times, a new product has come to dominate the shutter market: vinyl. One of, if not the main reason is the lack of need for any maintenance. Give them a nice wash every once in a while, and that is all they need. That is a far cry from wood shutters, which generally need a new coat of paint every year to preserve them. And how many people have time for that these days? As a result of lack of care, they rot and then instead of beautifying a home, they become a blight on it. Also, vinyl is very durable. Shutters made from it can just be hung in place and virtually forgotten. Unlike wood, changes in the weather have no effect on them. Vinyl shutters do not shrink or crack in the heat. Snow and rain will not make them rot or peel, and high humidity won’t cause them to warp or swell. Where once shutters served to protect a home from intruders and/or the weather, that is no longer the case. Between home security systems and storm shutters, there is no longer any need for the basic shutters of yesteryear. They have become strictly a cosmetic element to home improvement. The vinyl kinds are lightweight, making them easy to install, even for one person. Also, virtually all of them are sold with some kind of warranty, usually twenty-fine years. To the average consumer, that is a lifetime. After all, in our modern world, many people do not even live in the same house for that long. And, the benefits do not stop there. 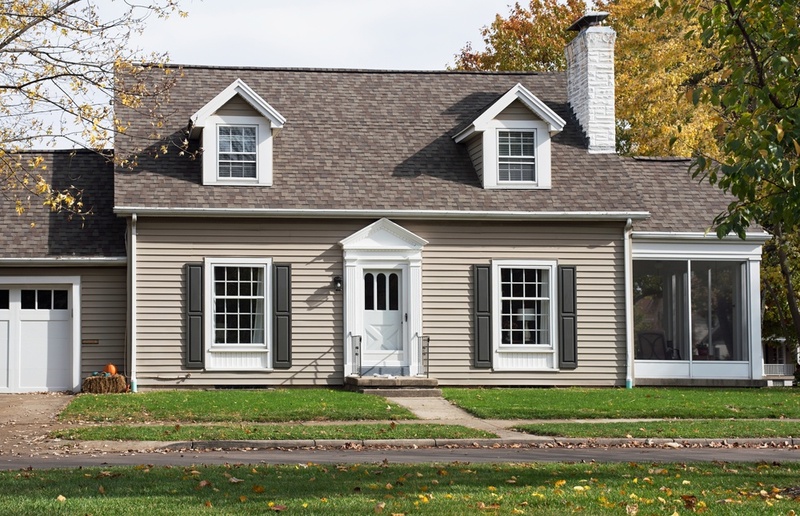 Exterior vinyl shutters come in a wide variety of colors. Not only does that make it easy for the typical homeowner to find what they want, but remodeling becomes a snap. With wood, you could spend several days carefully removing your shutters (with help), treating, painting and re-hanging. In the case of vinyl, given their low cost, painting is not even needed. It is a simple matter to remove the old and replace them with all new ones, and do it alone, and in no more than a single day. When taking all these factors into account, it is clear that vinyl is the right way to go.